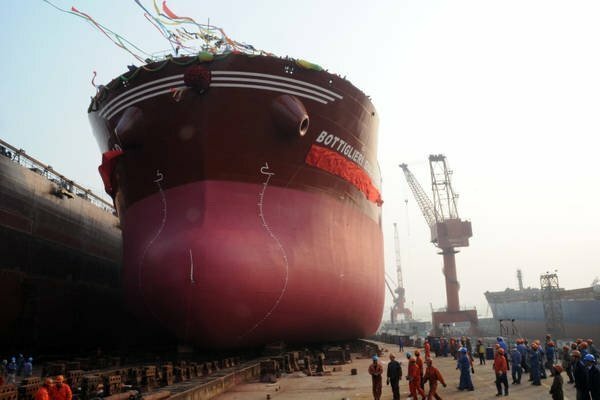 More shipowners in Italy, particularly those involved in dry bulk, will follow Giuseppe Bottiglieri seeking court protection from creditors in order to restructure debts, a banking source has revealed to Splash. The source explained that “the main issue in Italy refers to rules introduced by the Italian accounting laws which make it mandatory for shipping companies to apply impairment tests on their assets. Due to the fall experienced by dry bulk carriers in the last couple of years, almost all the shipping companies will have to handle asset depreciations and consequently balance sheets in red and negative equity”. This situation for many Italian owners is to choose between injecting more equity into their companies or, most probably, approaching the courts for a solution. “Once the company is safe from creditors in the court’s hands, the owners will have enough time to reach restructuring agreements with the banks or to find a new investment partner to save the company from bankruptcy”. Genoa-based Premuda, which operates both in the tanker and dry bulk shipping market, found itself in this situation. The company is now close to be taken over by Pillarstone Italy which will have to proceed with an equity injection aimed to cover the realised losses and reinstate the company’s share capital.